Every year a new NBA season offers a fresh start to teams, and Championship possibility. 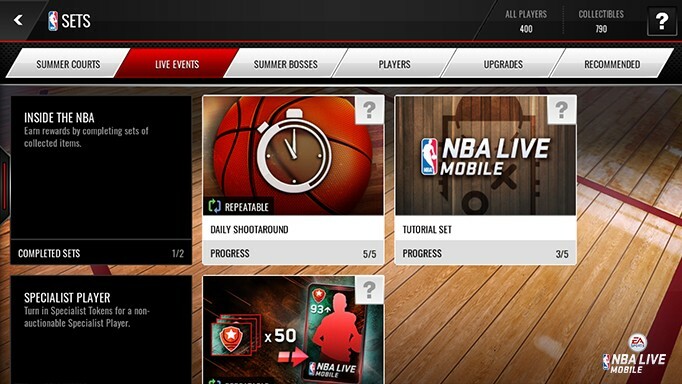 NBA LIVE Mobile will also offer a fresh start at dominating the court with a brand new season. However that doesn't mean you take the offseason off! This is where you put in the work and preparation to take your game to the next level. Season Score will help you make the transition to the new season of NBA LIVE Mobile and we're here to answer any questions you might have. Season Score is how our game resets for the upcoming season. 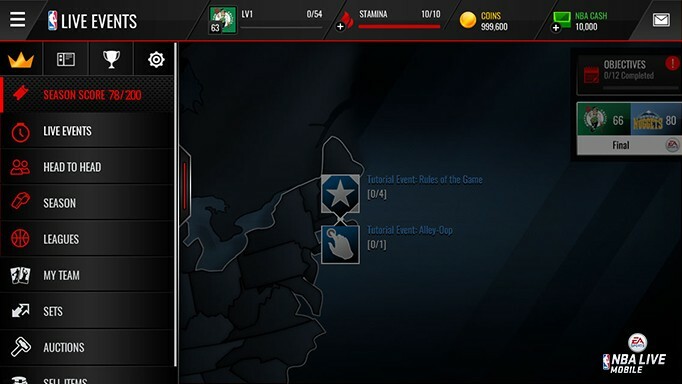 During Season Score, you'll still be able to do everything you've been able to do in the game up until this point, including participating in leagues, purchasing packs, making transactions in the Auction House, and more. You will also be rewarded for your play and accomplishments in the current season of NBA LIVE Mobile. So everything you've done since day 1 of NBA LIVE Mobile will help contribute to your "Season Score" total! At this point you're probably asking yourself what you get to hold onto from the previous Season. You'll be able to keep your NBA Cash, so no worries there. Your group also stays together when it comes to Leagues. The Players that are in your lineups when Season 1 ends - stay. You'll be able to play with them in Legacy Live Events in the next season. So what's going away? Well your coins won't make it to the next season of NBA LIVE Mobile. Also going away - all extra players and any other items in your inventory. In other words, your bench will be cleared (including sets). And finally all the progress you made in modes will be gone. This includes Fans, Seasons, User Level, etc. 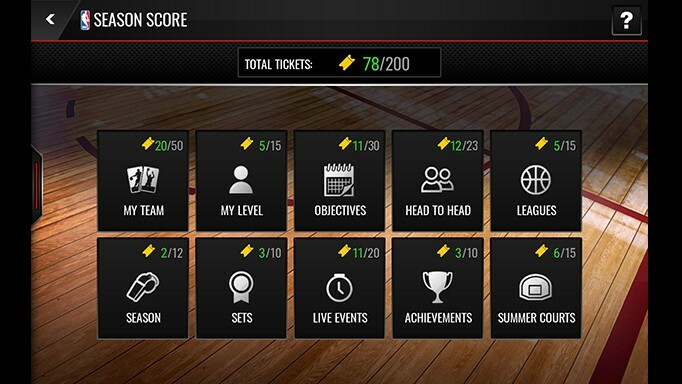 Starting on August 16, whenever you login to NBA LIVE Mobile you'll see a Season Score widget displayed on your Map. Tapping on the Season Score Widget will take you into the full Season Score Hub Breakdown. The Season Score Hub is your go-to for everything important, tracking your progress each step of the way. This Hub will display 10 different category panels. Each of the category panels displays an icon, title, and tickets earned for the category. Below is a breakdown of the 10 categories where you'll be able to collect tickets. The good news is you'll be able to spend these tickets in the next season of NBA LIVE Mobile on various items, giving you a nice head start for the new season! 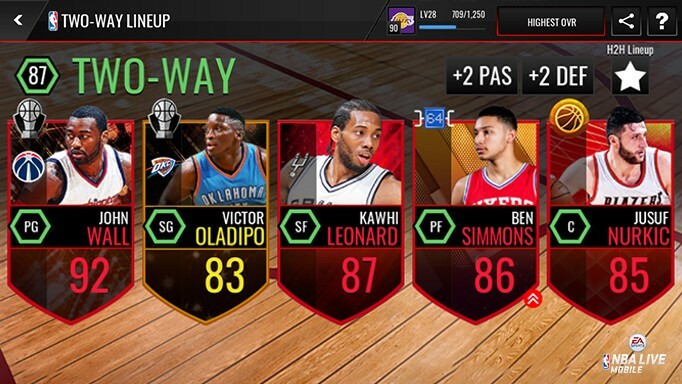 My Team: The higher your team OVR, the more tickets you earn. Tip: Use those Summer Players to help give your team a boost! My Level: The higher your level, the more tickets you earn. Tip: Play plenty of Live Events to get your level to go up. Objectives: Complete daily and weekly objectives for tickets. Tip: Complete all your daily objectives each day. Head-to-Head: Climb divisions and win games in Head-to-Head to earn your tickets. Tip: The more you play the more you win. Also - don't forget to finish games! Leagues: Enter League vs. League tournaments for tickets. Tip: Make sure only your active players are in the tournament. In other words don't play with someone on summer vacation! Season: Get tickets by winning season games and championships. Tip: If your team is good enough, consider auto-play for quick and easy wins. Sets: Complete as many current sets as possible. Tip: Team and Summer sets are your best bet. Live Events: Win as many Live Events on the map as you can. Tip: Check daily and come back often as Live Events are continuously updated. Achievements: Complete as many of the achievements as you can. Tip: If you go to each “Mode” there will be some easy achievements you can complete. Summer Courts: This is easy - it's summer - so play as much Summer Courts as possible. That's it for now. See you on the court!